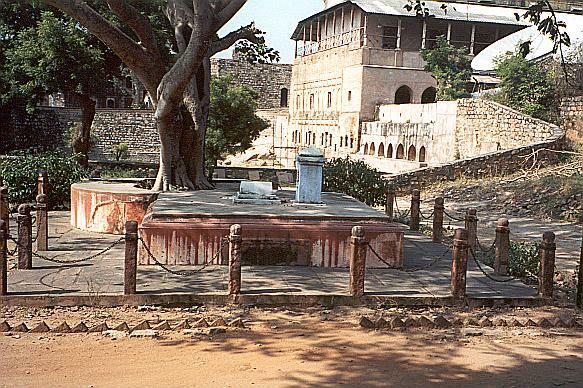 Jhansi Fort Originally named Manikarnika at birth nicknamed Manu , she was born on 19 November 1835 at Kashi Varanasi to a Maharashtrian Karhade Brahmin family from Dwadashi, District Satara. She lost her mother at the age of four. She was educated at home. Her father Moropant Tambey worked at the court of Peshwa Baji Rao II at Bithur and then travelled to the court of Raja Gangadhar Rao Newalkar, the Maharaja of Jhansi, when Manu was thirteen years old. 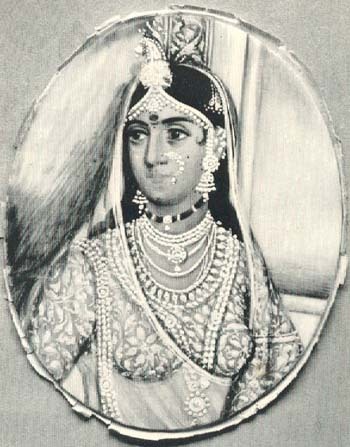 She was married to Gangadhar Rao, the Raja of Jhansi, at the age of 14. 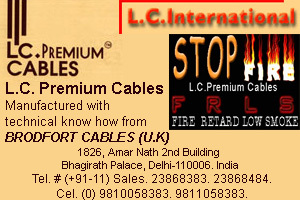 After her marriage, she was given the name Lakshmi Bai. 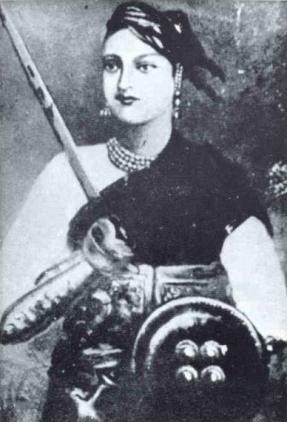 Because of her father's influence at court, Rani Lakshmi Bai had more independence than most women, who were normally restricted to the zenana: she studied self defense, horsemanship, archery, and even formed her own army out of her female friends at court. Rani Lakshmi Bai gave birth to a son in 1851, however this child died when he was about four months old. After the death of their son, the Raja and Rani of Jhansi adopted Damodar Rao. However, it is said that her husband the Raja never recovered from his son's death, and he died on 21 November 1853 of a broken heart. 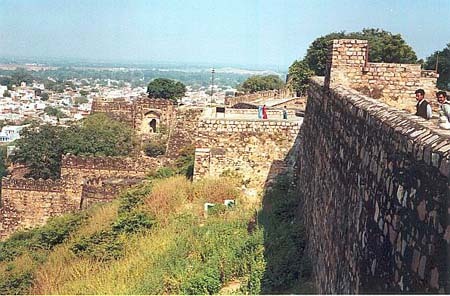 Rani Jhansi was determined not to give up Jhansi. She strengthened its defences and assembled a volunteer army. Women were also given military training. Rani's forces were joined by warriors including Gulam Gaus Khan, Dost Khan, Khuda Baksh, Lala Bhau Bakshi, Moti Bai, Sunder-Mundar, Kashi Bai, Deewan Raghunath Singh and Deewan Jawahar Singh. While this was happening in Jhansi, on May 10, 1857 the Sepoy (soldier) Mutiny of India started in Meerut. 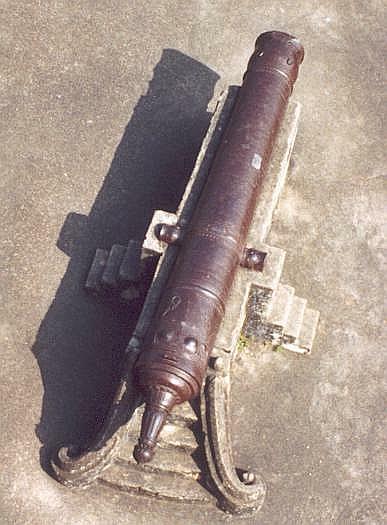 This would become the starting point for the rebellion against the British. It began after rumours were put about that the new bullet casings for their Enfield rifles were coated with pork/beef fat, pigs being taboo to Muslims and cows sacred to Hindus and thus forbidden to eat. British commanders insisted on their use and started to discipline anyone who disobeyed. During this rebellion many British civilians, including women, and children were killed by the sepoys. The British wanted to end the rebellion quickly. Meanwhile, unrest began to spread throughout India and in May of 1857, the First War of Indian Independence erupted in numerous pockets across the northern subcontinent. During this chaotic time, the British were forced to focus their attentions elsewhere, and Lakshmi Bai was essentially left to rule Jhansi alone. During this time, her qualities were repeatedly demonstrated as she was able swiftly and efficiently to lead her troops against skirmishes breaking out in Jhansi. Through this leadership Lakshmi Bai was able to keep Jhansi relatively calm and peaceful in the midst of the Empire’s unrest. 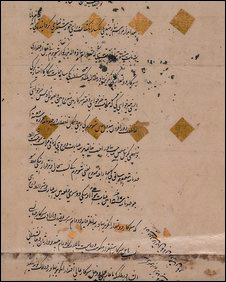 artefacts from the Rani of Jhansi's life The letter was written by Lakshmibai, Rani of Jhansi, shortly before the Indian mutiny - or first war of independence - in 1857. It has been found in London in the archives of the British Library. The Rani of Jhansi has often been called the "Joan of Arc" of the Indian independence struggle. 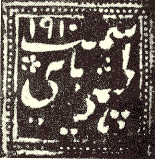 Academics say the discovery of the letter is hugely significant, because so little historical evidence from the Rani of Jhansi's lifetime exists. Up to this point, she had been hesitant to rebel against the British, and there is still some controversy over her role in the massacre of the British HEIC officials and their wives and children on the 8th June 1857 at Jokhan Bagh. Her hesitation finally ended when British troops arrived under Sir Hugh Rose and laid siege to Jhansi on 23rd March 1858. Rani Jhansi with her faithful warriors decided not to surrender. The fighting continued for about two weeks. Shelling on Jhansi was very fierce. In the Jhansi army women were also carrying ammunition and were supplying food to the soldiers. 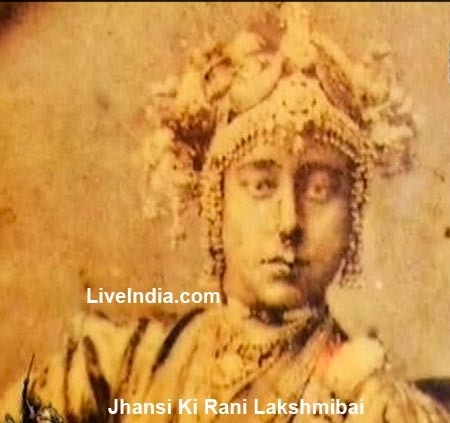 Rani Lakshmi Bai was very active. She herself was inspecting the defense of the city. She rallied her troops around her and fought fiercely against the British. An army of 20,000, headed by the rebel leader Tatya Tope, was sent to relieve Jhansi and to take Lakshmi Bai to freedom. However, the British, though numbering only 1,540 in the field so as not to break the siege, were better trained and disciplined than the “raw recruits,” and these inexperienced soldiers turned and fled shortly after the British began to attack on the 31st March. 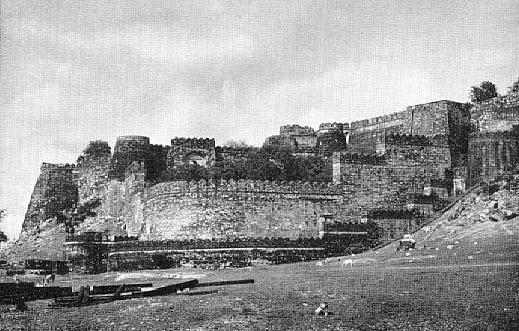 Lakshmi Bai’s forces could not hold out and three days later the British were able to breach the city walls and capture the city. Yet Lakshmi Bai escaped over the wall at night and fled from her city, surrounded by her guards, many of whom were from her women’s military. Along with the young Damodar Rao, the Rani decamped to Kalpi along with her forces where she joined other rebel forces, including those of Tatya Tope. The Rani and Tatya Tope moved on to Gwalior, where the combined rebel forces defeated the army of the Maharaja of Gwalior after his armies deserted to the rebel forces. They then occupied the strategic fort at Gwalior. However on the second day of fighting, on 18 June 1858, the Rani died. She died on 18 June, 1858 during the battle for Gwalior with 8th Hussars that took place in Kotah-Ki-Serai near Phool Bagh area of Gwalior. She donned warrior's clothes and rode into battle to save Gwalior Fort, about 120 miles west of Lucknow in what is now the state of Uttar Pradesh. 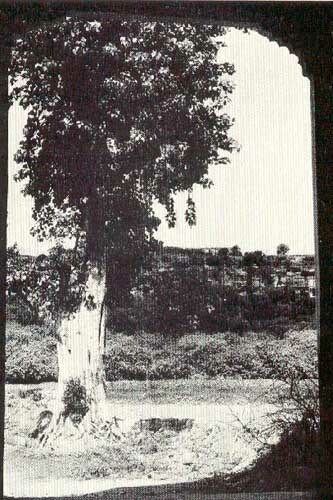 The British captured Gwalior three days later. In the report of the battle for Gwalior, General Sir Hugh Rose commented that the rani "remarkable for her beauty, cleverness and perseverance" had been "the most dangerous of all the rebel leaders". However, the lack of a corpse to be convincingly identified as the Rani convinced Captain Rheese of the so called "bravest" regiment that she had not actually perished in the battle for Gwalior, stating publicly that:"[the] Queen of Jhansi is alive!". It is believed her funeral was arranged on same day near the spot where she was wounded. One of the her maidservants helped with the arrangement of quick funeral. Because of her bravery, courage, and wisdom, and her progressive views on women's empowerment in 19th century India, and due to her sacrifices, she became an icon of Indian independence movement. The Rani was memorialized in bronze statues at both Jhansi and Gwalior, both of which portray her on horseback. Her father, Moropant Tambey, was captured and hanged a few days after the fall of Jhansi. Her adopted son, Damodar Rao, was given a pension by the British Raj and cared for, although he never received his inheritance. Rani Lakshmi Bai became a national heroine and was seen as the epitome of female bravery in India. When the Indian National Army created its first female unit, it was named after her. Indian poetess Subhadra Kumari Chauhan wrote a poem in the Veer Ras style about her, which is still recited by children in schools of contemporary India. in 1766 Vishwas Rao Laxman was made the subedar of Jhansi. His period was from 1766 to 1769. After him Raghunath Rao (II) Newalkar was appointed the subedar of Jhansi. He was a very able administrator. He increased the revenue of the state. 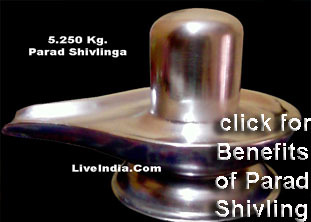 The MahaLakshmi Temple and the Raghunath Temple were built by him. For his own residence he constructed a beautiful building Rani Mahal in the city. in 1796 Raghunath Rao passed the subedari in favour of his brother ShivRao Hari. 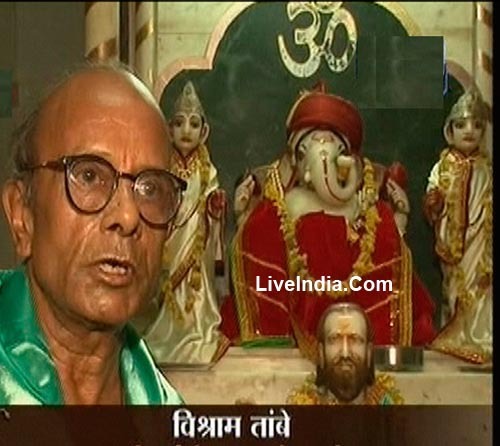 After the death of Shiv Rao his grand son Ramchandra Rao was made subedar of Jhansi. He was not a good administrator. Ramchandra Rao died in 1835. After his death Raghunath Rao (III) was made his successor. 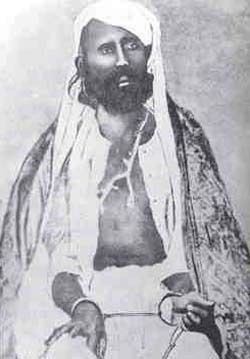 in 1838 Raghunath Rao (III) also died. 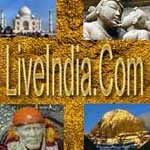 The British rulers then accepted Gangadhar Rao as the Raja of Jhansi. Due to the inefficient administration during the period of Raghunath Rao (III) the financial position of Jhansi was very critical. Raja Gangadhar Rao was a very good administrator. He was very generous and full of sympathy. 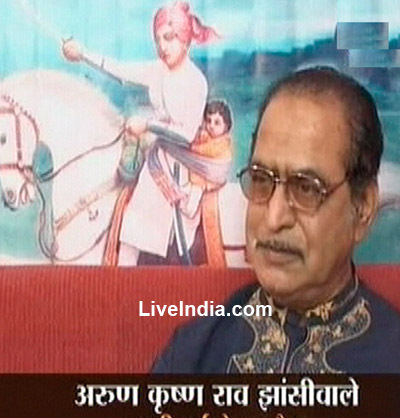 He gave very good administration to Jhansi. 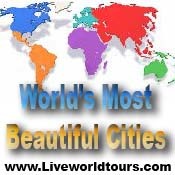 During his period the local population of Jhansi was very satisfied.